It’s shopping season, and you’re likely to be on the look-out for gifts for friends and family in the next few weeks. To limit the damage to your bank balance, you will, of course, want to do your business as cheaply as possible – but how can you spot the genuine discounts from the marketing tricks? And how do you know when a bargain really is a bargain? We’ve got some tips and some tools that can help. The truth is that retailers will usually put the biggest discounts on the goods they’re most keen to get rid of – not necessarily the stuff that’s the best deal or the best value for you. By taking just a little more time over your browsing, you can make sure you come away with buys that are both as cheap as possible and actually worth going for. That shiny new gadget you’ve got your eye on might be £75 off today, but was it £175 off yesterday? Is the discount quoted based on the item’s original selling price (which might be from a year or so ago) or on what it’s been selling for the past six months? Checking through price histories can help you answer questions like these. 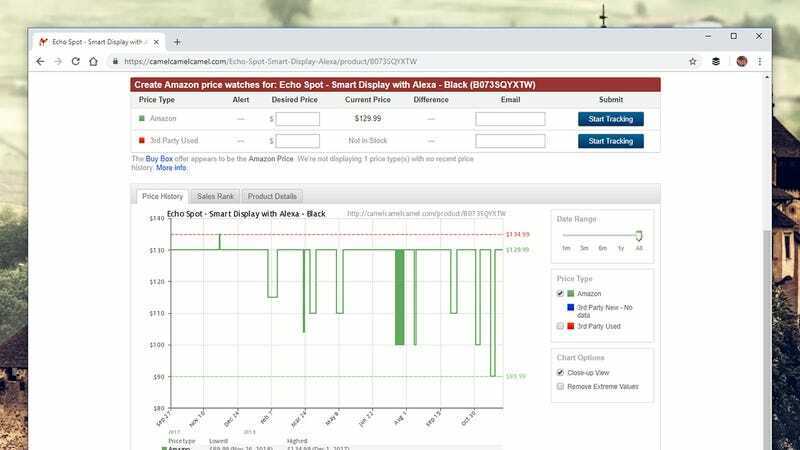 CamelCamelCamel is a great resource to turn to for tracking Amazon prices: Plug in an Amazon URL or some keywords and see how the price has varied over the last month, three months, six months, or year (you can check prices from third-party retailers too). It’s definitely worth checking here if you’re buying from Amazon, to see if any current discount is actually all that unusual. The site can send you alerts on price drops for specific items as well, so if you’ve got your shopping organised far enough in advance, you can wait for the right moment to buy. Keepa is another Amazon price tracker that’s just as simple to use as CamelCamelCamel. You just type in what you’re looking for, and you can see its price history as far back as a year, enabling you to assess the current discount accordingly. Again, there’s the option to sign up for email alerts if a particular product drops in price. This kind of historical tracking isn’t really possible outside of Amazon – presumably because other retailers make it harder to get at the data – but CheckAFlip can be helpful. It scours eBay to find the current average selling price and the current average bidding price for whatever it is you’re looking for. The prices aren’t all that precise, because it doesn’t take into account the condition of items, the bundled accessories, and so on. Nevertheless, it gives you a decent idea of how much an item is selling for new or second-hand, and gives you a feel for how in-demand something is. If prices are stagnating or dropping, there’s probably a reason why. 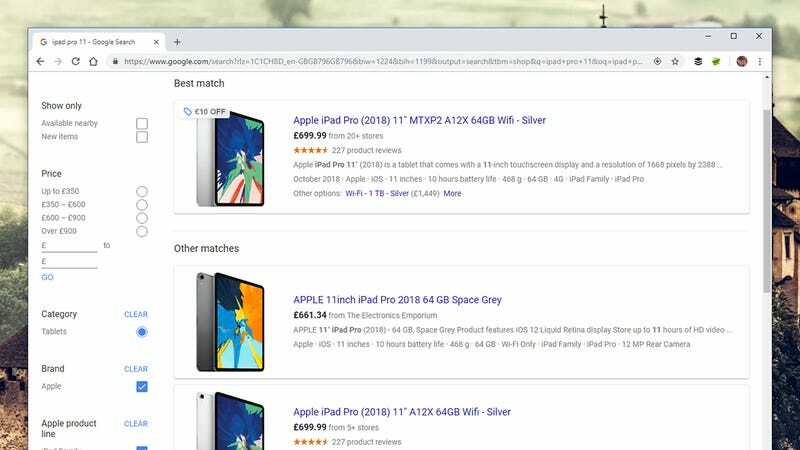 A bunch of browser extensions are available to compare prices across the web: You don’t want to click the buy button on a gadget with £50 off if you can get £100 off the same device somewhere else. Of course, you can do all your comparisons manually from site to site, but there are tools to help. One of the most well-known and most useful is InvisibleHand, which works with Chrome, Safari, and Firefox. Just visit any product page on most popular retailers, and the InvisibleHand banner pops up with advice if it finds the same item cheaper somewhere else – so you don’t pay any more than you need to. Then there’s ShopSavvy, which is a bit more bare bones than InvisibleHand but works in a similar way. 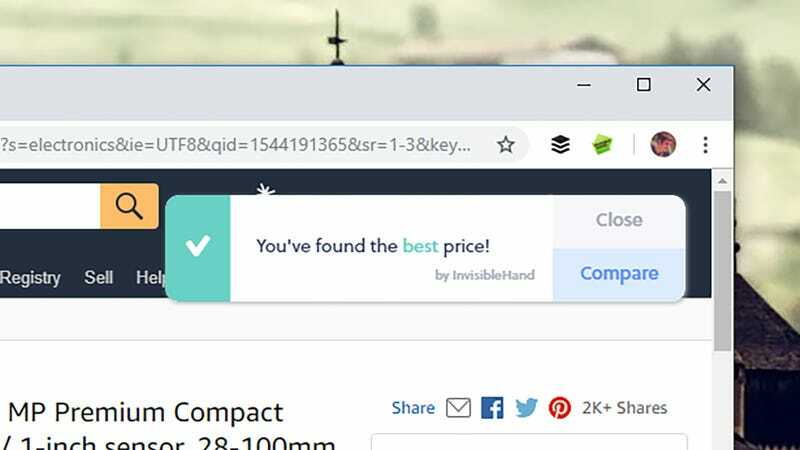 Start shopping as you normally would, and the Chrome extension pops up with a message on screen if the same item can be had for less somewhere else. ShopSavvy can be used on the go too – there are free apps for Android and iOS. Honey doesn’t compare prices, but it does hunt for discount codes and coupons for whatever it is you’re shopping for. Even better, it applies the savings automatically, so you can see the final price straight away. It plugs right into Chrome, Firefox, Opera, Safari, and Microsoft Edge. While it doesn’t have a browser extension to its name, PriceGrabber is worth a visit to see if the discounted price you’re looking at online is actually a bargain or not. 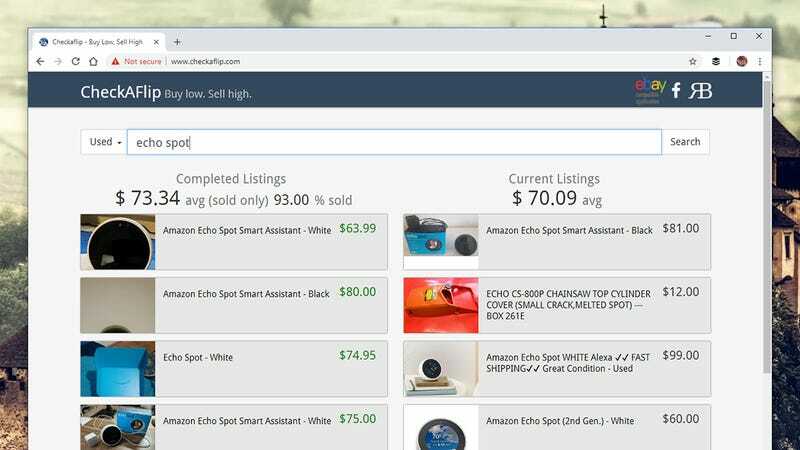 Plug an item name into the search box to see its availability and price across multiple sites, including Walmart and Amazon. In the same vein, Google Shopping remains one of the best ways of comparing current prices across the web. It’s not the most intuitive or user-friendly portal we’ve ever seen, but it covers a wide range of retailers and can prove invaluable in making sure you aren’t paying over the odds for something (even with a discount). Type in the name of the item you’re shopping for, then use the filters on the left if you need to. With certain types of tech – not least phones and laptops – it pays to do a little bit of research on what you’re looking at. When did the gadget first hit the market? When is its replacement likely to arrive? How does it stack up against other devices that are in the same range or family? Answer those questions and you’ll avoid spending over-the-odds on tech that’s getting too dated or that’s about to become obsolete. Retailers love to slap big discounts on goods in both these scenarios – they’re not lying when they list the amount of money you’re saving on the original price, but the value-for-money proposition might not be as good as it seems at first glance. It’s not an exact science and it’s easier done with some pieces of tech than others, but even a couple of minutes of web searching or closer analysis can pay off (quite literally). For online listings, for instance, check how old the earliest reviews are to work out the rough age of something you’re buying. Double-check the specs too: Gadgets like phones and laptops come in a variety of configurations (with different processors, RAM, and storage), so make sure you’re not being pointed towards a device that’s underpowered with a big juicy discount. There’s nothing wrong with entry-level specs, depending on what you want to use your gadget for, but you should always be aware of what you’re getting. 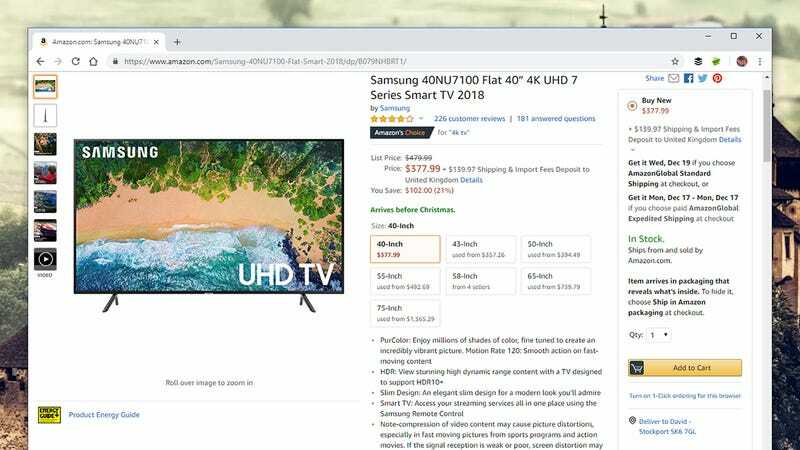 In some cases (televisions, for example), you’ve got a lot of model numbers to work your way through – always pay attention to the related items box on the retail website you’re on to make sure there isn’t a slightly better or newer model that you’re missing out on. Needing to get gifts for everyone can but some extra pressure on your shopping, but if you’re looking for yourself, don’t be afraid to wait until the new year. 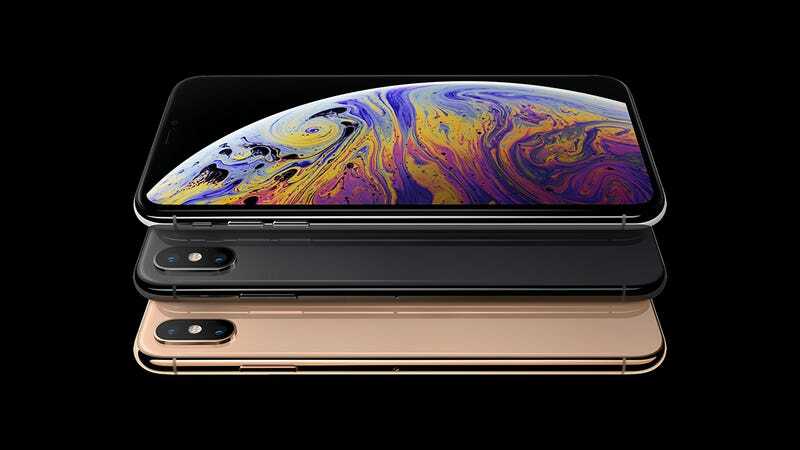 Discounted items are unlikely to go all the way back up to full price, while extra discounts might appear for newer products – tech prices only go down in the long term, so the longer you wait, the less you’ll pay (even iPhones get discounted after a year).